The Starrett-Lehigh building (1931), a landmarked International Style building occupying a full city block on Manhattan’s far west side, is known for its enormous floor plates, continuous steel ribbon windows, and elevators large enough to accommodate freight cars. The building’s profile is dominated by a “crown” of water towers on the roof, well-known to travelers on the West Side Highway. 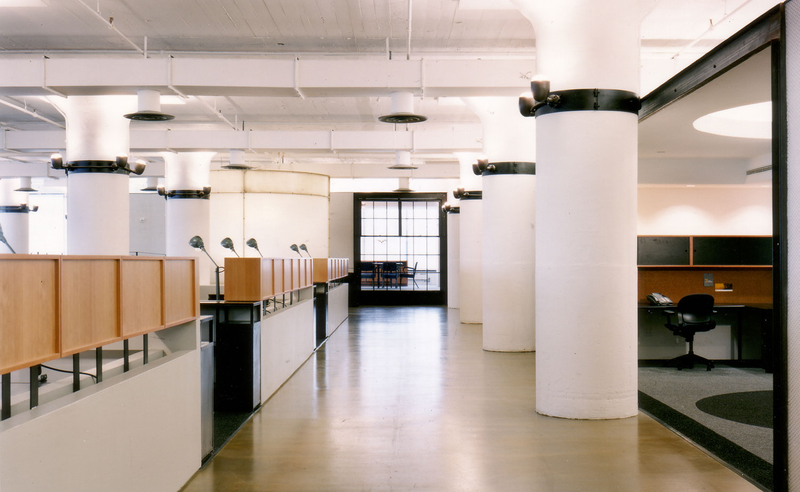 Concrete Incorporated, a young and growing media company, desired a new headquarters that maintained the industrial character of this building. 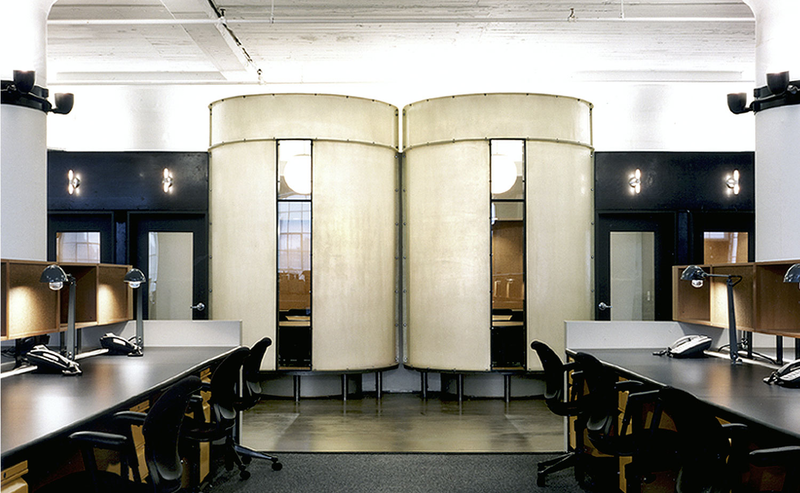 We designed a series of curved shells to be installed within the space to form private, secluded work areas. 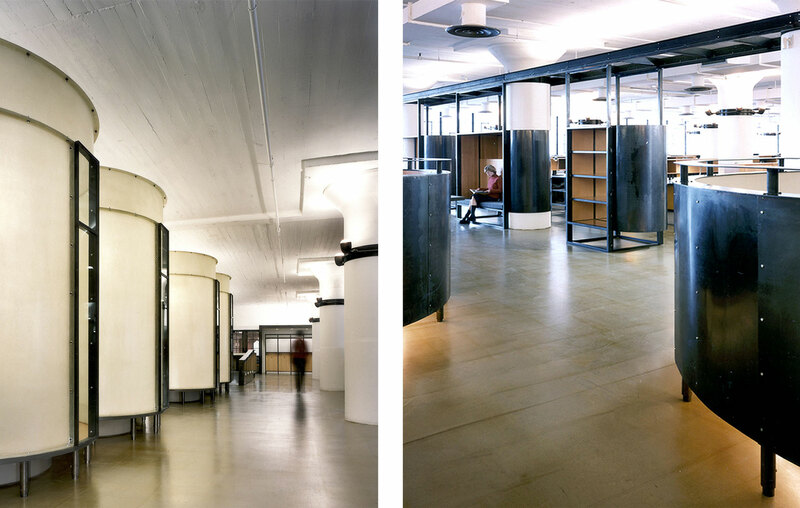 These “think tanks,” allow natural light to penetrate deep into the space during the day, while transforming into glowing lanterns at night. 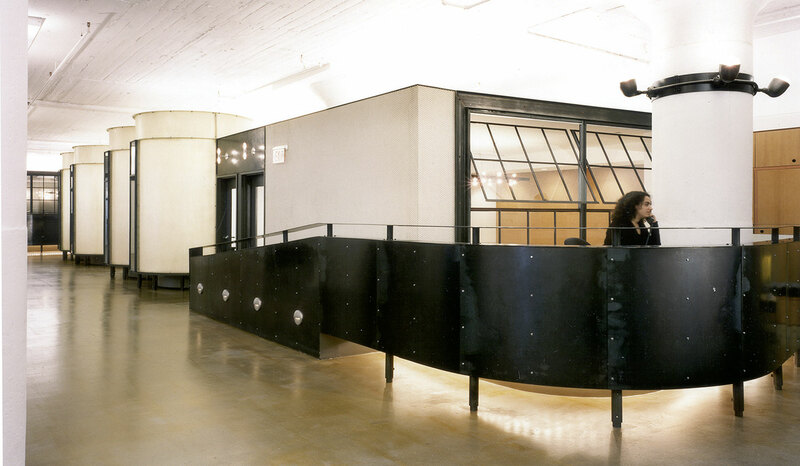 An elevated steel rail, inspired by those in the nearby meatpacking district, runs through the space and suspends light fixtures, lounge seating, and sliding cork pin-up boards. 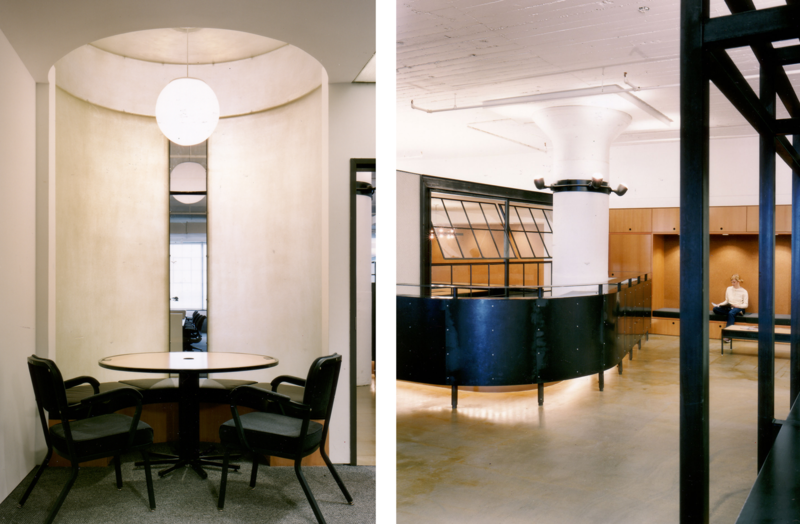 With this project, our firm looked to engage and extend the reading of the local industrial landscape.